Dr Oz The Dash Diet: How To Cut Sodium & Does Stress Cause Grey Hair? We’ve now seen how The Dash Diet works and that it gets real results. There are still miles of weight loss to go. YouBeauty expert Kristin Kirkpartick said that the average American consumes way to much sodium everyday, about 3,500 mg. Using The Dash Diet takes it down to as low at 1,200 mg of sodium a day. Kirkpatrick thinks the goal should by 1,500 mg. There are ways to examine labels to figure out the amount of sodium. Labels lie, friends. First off, don’t fall for labels that read “reduced sodium” or “no added salt.” This just means that they’ve taken a salty food and taken away some of the salt or not added any more to the salty food. They don’t mean no salt at all. Low sodium means less than 140 mg, unsalted means no sodium added and can be about 30 mg, while very low sodium runs in the middle range of those. The best choice is no sodium, meaning 5 mg.
Kirkpatrick said to add variety with herbs to avoid using salt. These fresh herbs have antioxidants that help fight disease. Cinnamon helps with insulin sensitivity and seasoning with vinegar and lime juice are also ways to cut the salt. Finally, avoid your “salt bombs,” or salt cured foods. This includes the glorious bacon, ham, pickles, mustard, olives, and anything packed in brine. Consider condiments adding salt to the food. Dr Oz: Dash Diet & Spicy Food Causes Ulcers? Dr Oz really loves The Dash Diet. Not only is it great for losing weight and eating right, but it helps with hypertension. That was what the Dash Diet was designed for! Another thing to watch for, said Dr Oz, was the old wives tales mom always told you. First was that chocolate causes acne. Elizabeth Arden’s Red Door Spa said that hormonal changes in your body and genes are the causes of acne, not chocolate. Dr Oz recommends dark chocolate, full of flavonoids and antioxidants. Does eating spicy food cause ulcers? No! It’s a myth. The cause of ulcers is a bacteria that causes inflammation in the lining of your stomach. Over the counter painkillers as well can cause ulcer. Spicy food will, on the other hand, irritate an ulcer! Dr Oz then asked a celebrity stylist if stress turns your hair grey. He said yes and no. 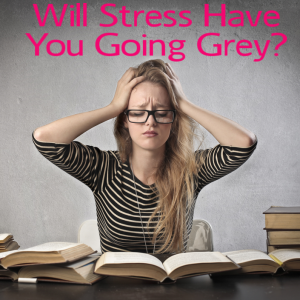 Grey hair is genetic, but extreme stress can speed up the greying process. Long chronic stress, not occasional stress, is what causes the greying. Another mom said that warm milk makes you sleepy. Well, we know the tart cherry juice contains melatonin and will help you sleep, but warm milk? It’s actually true! It does have tryptophan and melatonin that help you relax. It will also give you a sense of comfort.